The Last Alaskans TV show cancelled or renewed for Season 4? When will The Last Alaskans Season 4 start on Discovery Channel? Looking for the The Last Alaskans Season 4 premiere date? We have the very latest The Last Alaskans Season 4 release date news and renewal status. Don’t miss the release of The Last Alaskans: bookmark this page or subscribe below to get free weekly release date alerts! 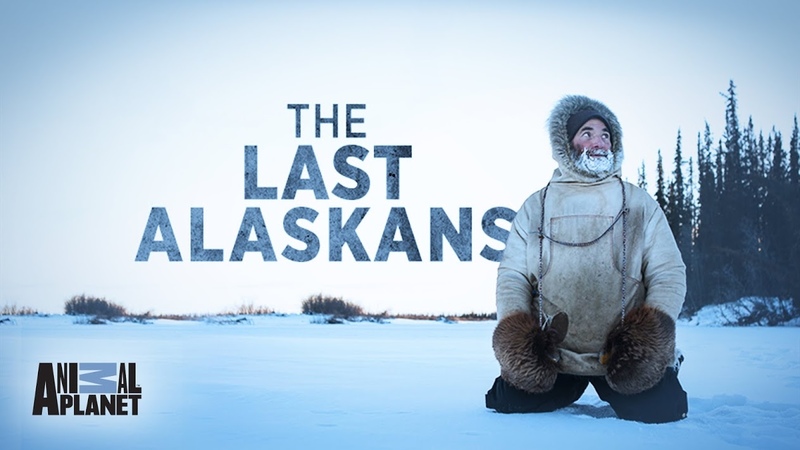 The Last Alaskans chronicles the daily rituals of four families choosing to live in seclusion, vast distances from each other as they overcome harsh arctic conditions, frustrating setbacks, and aggressive wildlife while they survive in one of the last great unspoiled and unforgiving wildernesses on the planet. In the refuge, prop planes, canoes and dog sleds replace the modern luxuries that most people take for granted. Humans cohabit with the animal world and often share the same emotions and struggles while they discover that they are not necessary at the top of the food chain. Utilizing an authentic and organic approach to document the weeks leading up to and during the winter season, The Last Alaskans sets a distinctive and vibrant tone unlike any other docu-series before to completely immerse the viewer into a world that would otherwise be lost in history. Complete with stunning aerial shots via drones and a pace that honestly depicts the lives of nonconformists who choose to live off the land and off the grid, the eight-episode series provides viewers with an unbiased look and deep exploration into the unique perspectives of America's last frontiersmen and their loved ones. I don’t think we can ever forget about Bob and how he opened up on occasion and many Americans became fans. His love for the country and all it’s beauty. I think most of us who watch have. Wished they could have lived the life. If you dream, do yourself a favor and follow through because if you don’t you will always have the empty feeling. Thankfully I got my share and wish there was more but I did follow my dream and I know I would never be happy with myself if I didn’t. You will never regret it. GREAT …GREAT …GREAT !!! My wife and I love this show ! In this day and age it is so wonderful to see people with values like these people have . We have watched the ALASKA BUSH PEOPLE ( the BROWN family ) but , THE LAST ALASKANS is way far and above that show ! We really hope BOB comes back as well as the LEWIS family . We hope this show stays on for at least several more seasons !!! I love this show also so I looked up Bob Harte and he passed away. He was a favorite. Wow Bob was a great guy my heart breaks for his ex-wife and especially for his daughter. I have really enjoyed every episode and pray the the series continues. OK…I’m hooked awaiting for the new season. If I was about 30 years younger I’d head for the hills….get away from all this in the lower states. I love the show and despite the snow and the long nights…..I wouldn’t mind it! This show depicts the survival skills of people living off the land…..its either do or die situation! I sometimes wonder, with all these shows on survival, if these shows are to teach the younger generation how to survive should the shf!!! Can NOT wait for the next season!!! CanNOT wait! This is the best “Alaska” wilderness show around. I’ve watched a few of the others, but just can’t get into them. This one is unique! I don’t mind that they added Charlie, although I know some folks do mind. I think it’s great that one last generation is willing to take it on. Can’t wait to see how he does; does Bob return; what about the Lewis’; Himo’s daughter’s return; etc.! Can’t wait love the people ! Rest In Peace BOB. Love the show, especially when you were in it. I totally agree with all the previous comments, this show delivers it as it is with no frills. It is captivating watching these people live the lives they have choose and both there appreciation and conservation is a lesson to all us folk that take it for granted our lives and how we lead them. Big thank you to all the families for letting us into your lives, I have enjoyed every minute. Love this show. No words to describe the feeling I get when I watch it. Maybe envious? If I were in my 20’s again, I would love to live life on nature’s terms. Natural, technology free, off the grid, and free. Life is meant to be lived in a simple and uncomplicated way. Don’t misunderstand me, every day on the show is hard work, but after all, it’s the way our Native American brothers and sisters did it. They are a smart people. One last thing…. Rest In Peace Bob Harte. You were truly nature’s son. LOVED THE SHOW ! All the people were so interesting in their own way .So sorry to hear about BOB passing I am sure he is in HEAVEN with GOD ! Please give us at least a season 4 ! Yup;get everyone out so the rich and famous can hunt and vacation there! We know how it is! The average person has no access to the richer things in life that are almost free. So sad! So glad the show will be back for another season…and so sad that Bob Harte won’t be a part of it. He was the epitome of living life on one’s own terms. He will be surely be missed. That being said, all of the families portrayed on this show have certainly given the world a look at how life is meant to be lived. Thank you Discovery, Half Yard Productions & all of the wonderful families of The Last Alaskans for introducing us all to the ultimate way of life. Looking forward to the new season & hope there will be many more! My husband and I love this show and every single person on it! It’s so refreshing to see these wonderful people living in such a beautiful place! To me it’s the best show on television, the people aren’t fake, they’re not acting they’re just living their lives and letting us follow along I love it!!! Does anyone know when the new season starts? RIP Bob Harte!! We were so saddened to hear of his passing!! Our prayers go out to his family and friends! My husband and I Love your show and we appreciate what each of you do and how you Love living the lifestyle even though it’s a lot of hard work. We have so much respect for each and everyone one of you. Our thoughts and prayers with Bob’s family. We have learned so much interesting things from each of you. Truth be told it’s a lifestyle we’d Love to live. Thank you so much for another season! Really enjoy watching their lifestyle. Tough but rewarding life. So sorry to hear Bob Harte passed, may he rest in peace. Looking forward to a new season. If any show were to get canceled, I hope it will be the one about the Brown family, they are just too weird for me to watch!!!!! I hope everyone in the Last Alaskans is healthy and will be back for season 4. This is such an rewarding and eye opening show to watch. Understanding that it is difficult it’s very refreshing to see how life should be enjoyed. My son introduced me to your show when it first began and I look forward to a new season. RIP Bob, you will be missed. Will his new grandchild be introduced to the viewing audience? I have a tremendous amount of respect for the way these people live. I’m in awe each and every time I watch them hunt, fish and gather. It’s sad that Bob will no longer be on the show. He, too, was a true inspiration. I must say that I’m looking forward to meeting the Selden’s new baby. Welcome to the ANWR baby Selden. It belongs to his daughter. This is a great show and I miss it when I don’t see it for awhile. Wondering how everyone is doing?? Please don’t cancel this show. I am so sorry to hear that Bob Harte passed away. He loved his life up there and I hope that he was returned to there after he passed. My mistake, meant to write Heimo, not Heidi. Love the show, along with the other Alaskan shows on tv……can’t get enough of them. Planning a trip there once my husband recovers from his many surgeries! Looking forward to season 4 with great anticipation. I lived in Alaska for a considerable period of time before ANWR existed and have longed to get back.. Especially North of Ft. Yukon and up the Porcupine. Great people and the very best of programing. Love the show very educational, entire family enjoys it. Cancelling would not have any value. BOB so sad, all those that have watched bob in the first season would know he climbed that mast for his radio show, land that bloody plane and so many this we loved hi for. You’d never have thought just a short time later he;d pass away !!! Soooo looking forward to Season 4, it is so genuine, love I the show. Very sorry about Bob, condolences to his family. He was a very special person and expressed it as well, his spirit was good. Special memories to keep. This is my favourite show. Keep it going PLEASE. About time to shake Discovery Channel’s neck till they get off the pot and air Season 4 of The Last Alaskans. Not very responsible actions from this questionable network. The Last Alaskans Season 4 release date announced!